Midwifery assistants work alongside midwives to care for clients during the prenatal period, while giving birth at home or in a birth center, and in the post partum period. Our 14-month certificate program helps you master the knowledge and skills that will make you a versatile and indispensable member of a midwifery team. Students learn how to support families before, during, and after labor by mastering the skills of childbirth education, belly casting, neonatal resuscitation, basic life support, birth art, placenta encapsulation, and lactation support. The Birthwise Midwifery Assistant program combines a comprehensive academic curriculum and a clinical preceptorship for a comprehensive training program that prepares graduates to work as midwifery assistants with either Certified Professional Midwives (CPMs) or Certified Nurse Midwives (CNMs) working in the home or birth center setting. In addition to the MA certificate, graduates of our fully accredited program have additional credentials in birth doula work, postpartum doula work, neonatal resuscitation, and basic life support. These credentials qualify graduates for a wide range of midwifery-related careers but, particularly, for a rewarding career supporting the work of professional midwives. 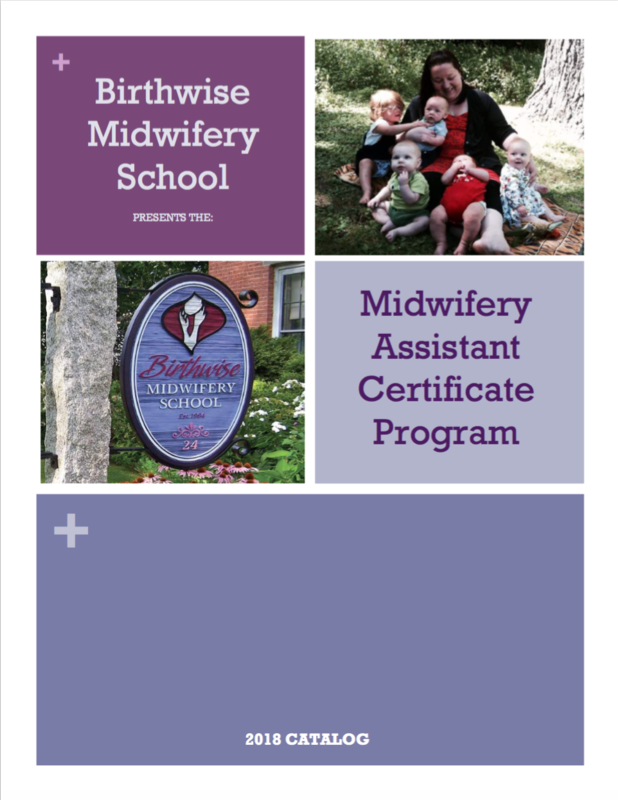 The Midwifery Assistant program is a new offering at Birthwise, having just completed its first cohort in the fall of 2018. We are in the process of reimagining how this program is delivered, including the possibility of offering this course in auxiliary classrooms around the US. Completion of the program includes attendance at ten 3-day classroom sessions with an integrated assistantship in a midwifery practice over a 14-month time period. Total cost of the program is $6,400.00, paid in installments prior to each classroom session. Federal financial aid is not available for this program, although applicants can apply for the Birthwise Midwives of Color Scholarship. Contact Birthwise for more information or for any upcoming dates for this program. Before you apply, make sure you reach out to a potential preceptor midwife in your community. For help identifying and securing a preceptor, contact Birthwise. While the work of midwifery assistants and midwives overlap, the two take on very different roles during pregnancy and birth. Learn more. Our midwifery assistant program faculty is made up of Certified Professional Midwives (CPMs) and certified Midwifery Assistants (MAs). Other faculty members include professional instructors in the areas of doula training and lactation counseling. Learn more about our faculty. Birthwise’s midwifery assistant course is a comprehensive certificate program that trains students through both extensive theoretical learning and hands-on skills practice. Learn more about the program. Download the 2018 program catalog.